Welcome to St. Peter's, which is the parish Church for Wootton, near Abingdon, in Oxfordshire. We want to grow in the love of Jesus and tell others about him. Our services, meetings and activities cater for all members of our community. Making friends, worship and prayer is central to everything we do! On Sundays we invite you to join us in Church for Parish Communion. We also hold a Family Service on the third Sunday of every month, whilst our Messy Church meets on the first Sunday of the month. We also have a regular mid week Communion on a Wednesday. 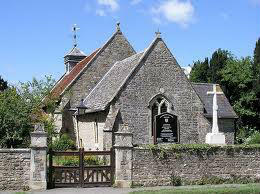 St. Peter's Church has a strong affiliation with the local village Primary School, Wootton St. Peter's. Our parish priest is a regular visitor in school and also a member of the full governing body. More information on the school can be found online at Wootton St. Peter's School. You can find out more information about our regular Services and Meetings and the activities we organise for Children and Young People.